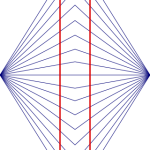 Do the black lines presented below appear to be parallel? 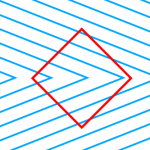 The black lines are indeed parallel even though they do not appear to be. 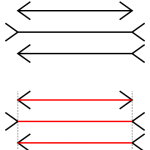 In 1860, this classic optical illusion was discovered by Johann Karl Friedrich Zöllner. 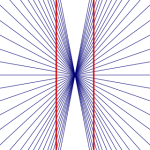 This illusion was the basis for the discovery of the Poggendorff illusion.